We will be opening a new location in Seattle, WA in the new year! Join our family in the Pacific Northwest. Since 1977, Arizona Tile has been committed to providing truly extraordinary surfaces and service to our customers. This commitment doesn’t stop with just our guests, it extends to the entire Arizona Tile family. Our CEO and Owner, John Huarte, founded the company based on the concept that goodwill towards others, including our fellow employees, is good business. Working at Arizona Tile isn’t just another job, it’s a family. It’s your opportunity to grow for years to come in an environment that values your hard work and dedication. Starting out with just one small store in San Diego, we’ve expanded the business to more than 25 locations in 7 western states. Many employees have chosen to spend 10, 20 and 30 years of their career with us. It’s easy to grow when you have an employee focused culture. We have locations in Arizona, California, Colorado, Nevada, New Mexico, Texas, and Utah, with goals for expanded growth in the future. Everyday we come into work, we make a commitment to our customers and to ourselves to be the best we can be. 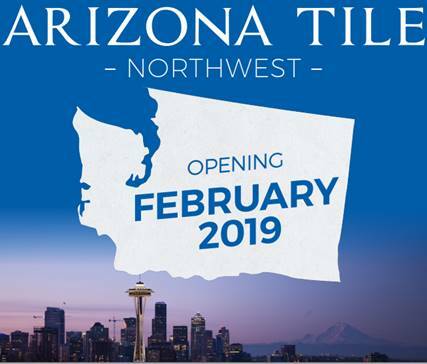 At Arizona Tile, there’s only room for employees who are ready to roll up their sleeves and do whatever it takes to create the best experience for our customers. Our team doesn’t end with just our showroom sales team, we have a variety of warehouse, driver, and professional opportunities available. Use your customer service, design, or warehouse management skills to help us create the perfect experienece for our customers from start to finish. Safety is our number one priority at Arizona Tile. We take careful consideration in ensuring our team has the proper training and experience to excel in our warehouse environment. In fact, we offer e-learning and on-the-job training to our warehouse employees so they can gain valuable skills in things like overhead crane and forklift operation. You’ll also be delighted to know that our warehouse team has ample opportunity to interact directly with customers and that they enjoy all major holidays off. Arizona Tile drivers will tell you this is the best job on the road! The best part is, you’ll park your truck every night. We hire team players and look for individuals who are looking to grow with us. 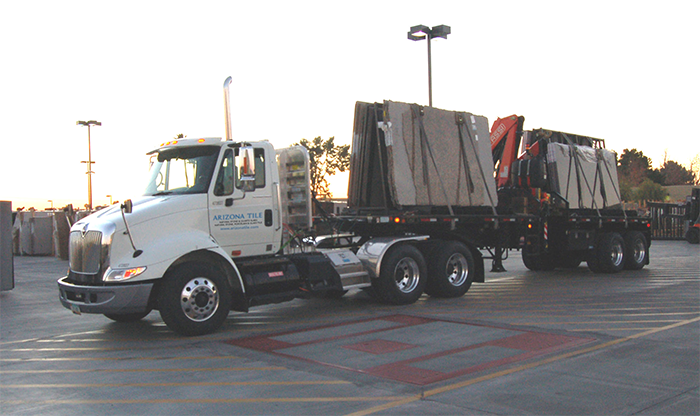 Our drivers don’t need their CDL to get started with us, but we more than welcome those who already have it. We have been known to send those that start out with us to truck driving school as we grow and expand. Work directly with customers and contractors to assist in selecting the perfect surface for their project. At Arizona Tile, we pride ourselves on our customer service. Our customer service and sales professionals are doing more than just showcasing our product, they are our brand ambassadors, and most importantly a continued resource to our customers. Strong skills in building and maintaining customer relationships will help you soar in this role at Arizona Tile. Use your skills in Accounting, Marketing, Human Resources and more to keep our business running smoothly. We have opportunities for business professionals who are ready to take ownership of their performance to help contribute to the overall success of our business. Regardless of where you contribute your passion and talents, you’ll be pivotal in Arizona Tile’s continued success. Our employees work hard for us so we make sure that we take care of them. We offer a broad array of perks to show our deep appreciation. We take care of you and your family with a great benefits package that includes medical, dental, and vision coverage. We appreciate all you do for us so we provide development opportunities and recognition milestones as our way of saying thank you. Employer-paid life insurance and voluntary life insurance keeps you protected. We understand the importance of work/life balance and we make it easy for you to enjoy time off when you need it. Start preparing for retirement now. Take advantage of our 401(k) plan that can help you save for the future. When the unexpected happens, our long and short term disability will be there. Requests for reasonable accommodations should be directed to Arizona Tile’s Human Resources Department.